In the GeoKid mode, Kids have to navigate in the world map and indicate where are the countries or the capitals, according to questions on the country name, on the flag, on the capital or on monuments. In the Quiz mode, answer multiple choice questions, about countries, flags, capitals, monuments, areas as well as the inhabitants of the largest countries in the world. This game mode displays all the flags of the world and allows to get information about countries by clicking them. In this game mode, navigate freely on the world map and discover all countries. A search mode is also available to locate all countries and capitals all around the world. Each time you succeed to answer questions in GeoKid and Quiz modes, you earn stars that unlock wooden puzzles about world countries. With this choice of difficulty, Kids start learning with a selection of the best-known country and can then switch to hard mode to play with all countries in the world. Your kids will love to travel in all countries of the world and learn to locate them on the map. Learning Geography has never been so fun. With GEOKIDS, your kids will become the Geography masters!!! ’Set the Clock’ is free today in collaboration with the AppEvent! Visit www.appevent.com for more free apps! You can practice together with your child, or let him/her perform assignments on his/her own using the nine game types in the App: “Set the clock’, ‘Tell the time’, ‘Adjust the clock’ and more. The assignments are clearly pronounced in English. Besides English, it is also possible to have the assignments spoken in Dutch, German, French, Spanish and even Chinese. This makes that “Set the clock” can provide enough challenge even for older children. – Beautifully designed wooden clock. – Earn medals and shows that you are a real time telling champion! – Tap the clock’s digits to hear what number it is. – English spoken, so your child can practice independently. – Different levels: hours, half hours, per quarter and per 5 minutes. – Also suitable for older children / pupils, because of the ability to tell time in other languages. If you decided to buy it, you will definitely get HD graphics, beautiful colors and breathtaking game play. And we hope, you’ll like it and enjoy playing it for long hours. 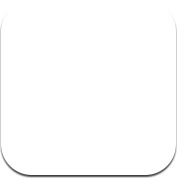 * This app version is compatible with all iPad`s. And the game has ultra-sparkling graphics, so you’ll need an iPad 3 to fully experience the awesomeness of the HD retina display. Easy – for children from 4 years old. Hard – for children from 10 years old and up to 99. A Сat can eat one of the birds from the first wire paired by type or color. Achieve fever mode to have points multiplication. An Egg is explosive, you need to match it as soon as possible with any two paired birds. If you see it, touch quickly to have high-voltage discharge and clear the wire. ★★★ Let`s play the very jumping match-3 game in AppStore history! Download it here for iPad or here for iPhone it is (now) free! Onion-Knight, which still in develop is a free ARPG game for the IOS. We would like to use this opportunity to share this game. We will continue to add new content (Such as scenes, characters, spells, items, etc.). We will build and improve our game based on your feedback. -A fantastic role-playing game for the IOS including excellent graphics and awesome gameplay. The legendary Dungeon Hunter series returns with a vengeance! Play the most intense and immersive hack ‘n’ slash game ever on mobile! After stopping the demon invasion in the Kingdom of Valenthia, the world remains shattered, crumbling at its very core — destruction and desolation seeping from its wounds — but even when we try to rebuild, things never go back to how they once were… Now, things are different. While seeking vengeance for your forsaken, embark on an immersive journey as our spirit-imbued hero through the five shattered realms, and become known as the most notorious Bounty Hunter of them all. Customize your Stronghold with a large variety of creatures, manage and defend it, and raid opponents’ Strongholds to ravage their loot. Discover how the animations and controls have been revamped to deliver the most amazing combat moves and even more satisfying deaths. This learning game is specially designed for kids, toddlers and preschoolers for children’s brain training and development. “A must have for parents!” – Enjoy your free time while your kid plays this amazing animated learning game. In each game, the kid needs to focus, find and point certain items/insects/birds etc. When Kid find and point the item it’s disappearing from the screen. Your Child will be very excited to find and tap those items. With this fun game your child can improve his/her concentration and attention and at the same time will have the wonderful time and much joy. * Improve child concentration and perception. This game is a part of series of educational children games for kids that consist of applications aimed at the development of sensory-motor intelligence , speech, visual- active thinking, concentration, perception, attention. This educational game is based on the researches of the Center Preschool child development and education. The system covers all the main aspects of the child’s mental development and is designed for different age group to develop specific children abilities. We hope that our games will become the good assistant in your child education, help methodically correctly and harmoniously develop the essential skills and abilities and prepare the child for school, and at the same time the education will be great for you and your child. MathGames is fun, and educational arithmetic game for your child. This game is designed to teach the basic of math to kids in very different ways. This game helps your child to improve his or her math skills by playing and also having fun. This game is intuitive, so that every child can learn math even without having knowledge of the alphabet. MathGames is divided into multiple levels and every level contains multiple games. The difficulty of the levels increases from easy to more complex, whereby the games at the end of a level and the first games of the next level, have almost the same difficulty. It is possible for every level to play against friends or other people around the world through the multiplayer option. MathGames keeps for each level a rating that starts with a score of 1500. Level 1: Starts with the understanding of the numbers from 0 to 12. The games are “memory” where the numbers are visible, counting fishes and a number line. Level 2: The goal is to create understanding of the numbers till 20. The same games are used as in level 1 in order to archive this goal. Level 3: This is the first level where calculating addition and subtraction sums are introduced. The numbers go to 30 for the understanding of numbers, where the addition and subtraction sums starts with numbers to 10 and later in the level this number goes up to 20. Level 4: This level extends the numbers to 100 and introduces times tables. The kids learn times tables 1,2,3,4,5,10 in this level of MathGames. Level 5: The numbers has a max to 1000 for the number line and for the sums with plus/minus a max to 100. Also the divisions are introduced in this level. All the times tables, 1 to 10, are trained to your kids. Level 6: The last level of MathGames contains all the elements described in level 1 to level 5. The numbers have a range from 0 to 10000 and the times tables are from 1 to 10. MathGames helps children in kindergarten and elementary school to learn numbers and to improve their math skills. The game works on tablets and smartphones which makes it possible to do the educational math exercise on both devices. MathGames has no background music in the games itself, which helps your kid to fully concentrate on the math problem. Sounds are used in the math game to indicate if the answer is correct or incorrect. The game can be used without sound if you want to keep silence in the room. Feedback from the parents and children helps to improve this math game. Please feel free to send me an email if you have any suggestion that helps improving this free game or if you having problems with this math game. Puzzles! 16 surprising and original puzzles. – Suitable for 2 years and older. – Puzzles with recognizable objects and shapes. – Change color of all the puzzles. – Make the puzzles easy or difficult. – 15 new NBA All-Star levels + 1 new golden egg level! – Free throw! Use one free Shockwave per level in new All-Star levels. – Check out kick-#%&* gaming videos on Ruffle TV! – More Pig Days – crazy new levels every week! – 19 THEMED EPISODES (plus cool bonus stuff)! – 550+ LEVELS of pig-popping action!